Swing dancing remains one of the most popular dance styles in modern dance clubs. Three dances in particular make up the basis of Swing dancing: the Lindy Hop, the Charleston and the Jitterbug, but the beauty of Swing dance is that improvisation is encouraged. 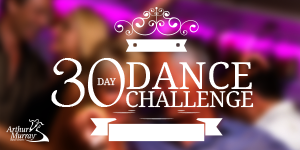 The basic dance steps of each style are relatively easy to learn, and as you gain more confidence you can layer on different moves as the mood — and the song rhythm — strikes you. 1Although many musicians have composed slower, more “user-friendly” Swing music, in general Swing music tends to be relatively fast and energetic. Fortunately, the basic moves can be learned quickly and lend themselves beautifully to improvisation. Begin with some of the slower Swing dance songs and work your way up to those with faster rhythms as you become more confident.